When the Google Cardboard was announced on the Google I/O developers conference, we know this will revolutionize the interaction between user and smartphone. Therefore, we took up the cause of spreading the idea of Google Cardboard and making it available for everyone. This this moment we invest in the development, design and production of the smilecardboard. Get started now. Smileway's bet on the future of VR is children. Inexpensive, easy to use, and kid-friendly? 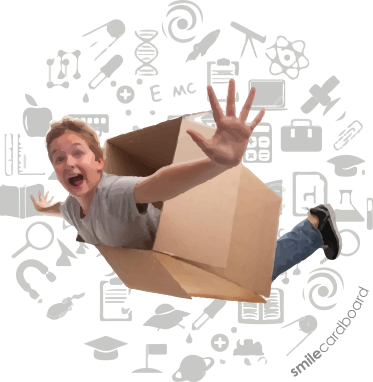 I let my kid use smilecardboard and he showed me why it'll be a hit. 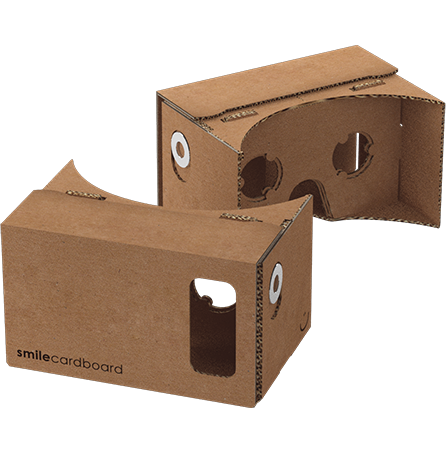 Smileway's Cardboard, the little folded-cardboard VR viewer that works with just about any phone, is the first VR platform targeted at children. At Google's I/O developers conference, a video featuring children on a virtual school field trip earned some oohs. An upcoming school-targeted kit called "Expeditions" includes pairs of foldable goggles, and all the rest of gear needed to bring your class to places in full panoramic 3D. 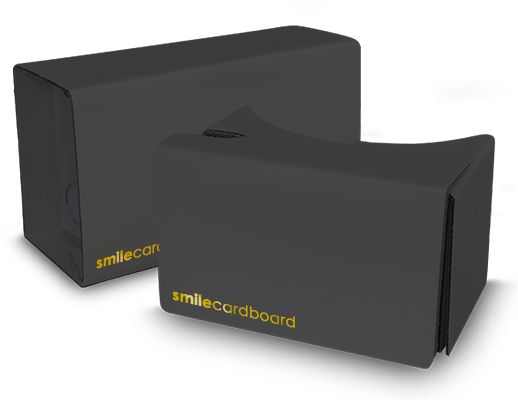 smilecardboard provides the latest in technical & design for the cool VR on the go. Base on latest tech spec & design from Google Cardboard! It's mean that you holding the latest edge and best standard in your hand! And the most important is you have Smileway's quality! Build with heart and cool looking design that made smilecardboard is special! Want to stay up-to-date and get the latest from smilecardboard and new feature updates? Then sign up and join other users. © smilecardboard 2015. 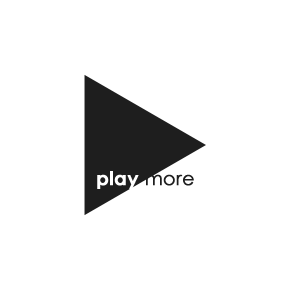 All rights reserved | Powered by smileway.